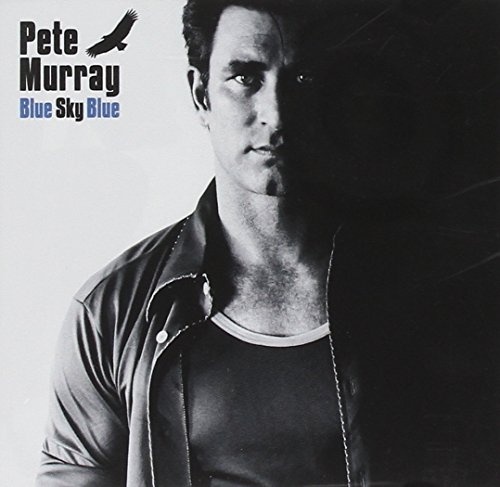 Eschewing the idea that the breakup album always has to be a tortured affair, Brisbane vocalist/guitarist Pete Murray's fourth album, Blue Sky Blue, recorded after the split with his wife of three years, is a surprisingly buoyant and harmonious effort that opts for reason rather than regret or revenge. Seemingly alluding to his marriage troubles, the driving country-rock of "Free" ("Tell me, when do you want to be free"), the plaintive acoustic ballad "Let You Go," and the Kings of Leon-esque indie rock of "H.O.L.L.A.N.D." (which stands for "Hope Our Love Lasts and Never Dies") show that Murray isn't afraid to bare his soul. But backed by a punchy production from Tom Rothrock (Badly Drawn Boy, Foo Fighters), Murray appears to have used his personal experiences as a catalyst for a more energetic and confident sound, as evident on the twanging blues guitars, propulsive grooves, and triumphant brass sections of the Steve Miller-esque lead single "Always a Winner"; the Hammond organ-driven acoustic pop of "Broken," whose urgent beats match the life-changing themes of its lyrics; and the melodic blues-rock of "Hurricane Coming." It's a positive and resurgent approach, which in addition to the recent three-year hiatus that he took to raise his two sons, is sure to leave many of his admirers swooning. And while there are still a few slices of inoffensively bland AOR to make up the numbers ("Tattoo Stained," "Led"), Murray's husky John Mayer-esque tones ensure it never quite drifts into drippy James Blunt-ish territory. A refreshing take on the whole breakup album concept, Blue Sky Blue is a unexpectedly optimistic record that should further Murray's reputation as one of Australia's most charming singer/songwriters.